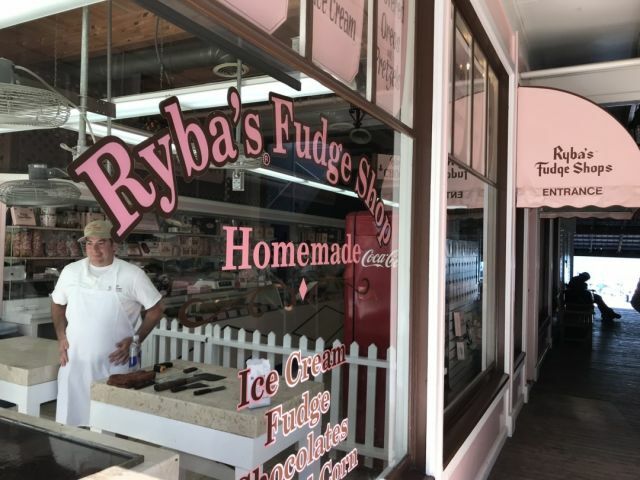 The fudge created on this island is world-famous. Back in the days when sugar was scarce and expensive, only the elite could afford this luxury. Mackinac sweet shops catered to the rich tourists who visited the island and throughout the following century perfected their candy-making skills. Now that sugar is plentiful and anyone can afford “brown gold,” local shops churn out free samples and entertain while they mix, stir, and cut the creamy confection into decadent slices right before your eyes. If you don’t like chocolate, don’t despair. There’s saltwater taffy, caramel popcorn and lots of other sweets to choose from. Ryba’s (the local favorite) paired our fudge tasting with champagne and caramel turtles. Mmmmm.